Frescar is a Mexican company, located in Tecoman, Colima right on the Mexican Pacific. The beginnings of Frescar, although it was established in early 2007, goes back to more than 40 years of farming experience, that Mr. Innocencio Espinosa, head of the Family Espinosa Hernandez, transmitted to his sons, who now are responsible for the family business. He began in the early 70's marketing and then producing and harvesting Mexican Key-Lime and Coconuts all year-round. Seeking to expand the family business FRESCAR is opened in 2007, with the main purpose of exporting these two fruits, Mexican Lime (Key-lime) and Coconuts directly to the customer. In July 2008, was established FRESCO PRODUCE, LLC. in Edinburg, Texas , north of McAllen, Tx., and in 2009 opened the office and warehouse, which is GFS Primus Lab Certified, where we send our products and re-pack them in other presentations such as 2lbs, 1lb, 5lb, & 10lb mesh bags as needed by the customer and then distributed to different parts of the US. 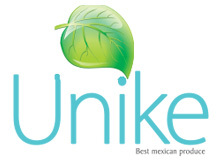 In 2012 we opened our Persian Lime packing facility in Mexico too. Now with FRESCO PRODUCE, LLC in the U.S. is easier to offer our U.S. customers top-quality fresh fruit straight from our gardens to your warehouse all year round. So far we can offer you Klimes, Limes, Pineapples and Coconuts all year round and when in season Lemon Choice and Valencia Oranges.